NAG Projects offers Plots for Sale in Bangalore through its projects, NAG Green park and NAG Grandville. These projects are in close proximity to the Electronic city (possesses hundreds of companies with Lakhs of employees),easy access to Anekal Station and well connected with express highways. So, you can be assured of spending a lot of time with your family and lesser time traveling. Next thing is to be sure that the offered Lands for sale in Bangalore have BMRDA Approval. 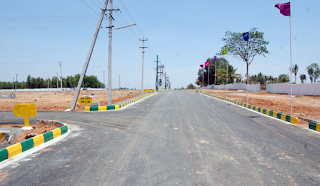 With highly trusted NAG Projects, you can be certain of the plots as they offer only approved lands for sale. Who would want to live in a remote, polluted surroundings while one can live amidst a sublime, expedient locality?